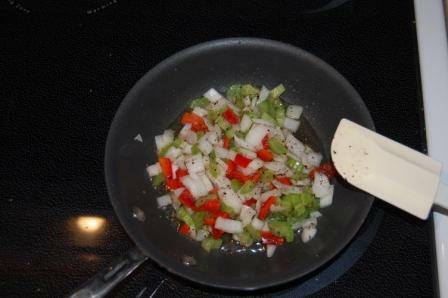 If you have ever been in a New Orleans kitchen, then you know that many a good Cajun dish starts with the "holy trinity": celery, onions, and peppers. Saute them until they are just right, and they become the cornerstone of many excellent meals. But you need all three to achieve just the right flavor balance. As I learned from one of my early mentors, project management starts with its own "holy trinity": Communication, visibility, and accountability. All three of these together serve as the starter recipe for any successful project. A good project management system will provide a valuable mechanism to streamline communications with your customers and between your employees. It will help your employees complete each project phase on time and on budget, which will increase customer confidence and ultimately increase your company’s revenues. ...Because the metrics are based on actuals being provided in near-real time by project team members, executives and customers can "peek" into the project at any given moment and know exactly what the situation is. They don't need to wait for the weekly or monthly status reports. As a former business owner and project manager...what if I was tired when I was supposed to be approving your pay check? Yeah...I thought so. Get to work. If (your people) are accountable to themselves or their family...they will take action with or without you. Don't mistake passion for a job as loyalty. Again, just as a Cajun cook needs all three elements of the holy trinity to make a successful meal, the project manager needs to channel all three elements of this holy trinity to make a successful project. Missing any one of the three leads to something less flavorful. Some of you may be saying, "Um... Tim... are you sure you don't mean the triple CONSTRAINT? You said 'restraint.' I think you got that wrong." To which I answer: nope. I meant it. The triple RESTRAINT. The triple constraint, as many of you are already aware, is the core principle of project management. It's the good-fast-cheap-choose-two mindset. It means that something's gotta give. Good project managers can generally manage to one of the three: schedule, scope, or resources. Excellent project managers more often than not can manage to two of the three. Very few can give their clients everything they want without altering the space-time continuum (and then being selfish enough not to share their advanced physics knowledge with the rest of us... GRRRR). The point of this is that we all recognize that there has to be a trade off. For many small businesses, that trade-off comes in the form of time or money. Show me a small business owner who says she or he has more than enough of either of these, and I'll show you a small business owner who is probably stagnating and/or is in denial. Hence, scope and quality get short-changed. Regardless of the size of your business, you have to identify two things: which constraint absolutely cannot budge regardless or circumstances (e.g., we absolutely have to open our new store in time for the summer season) and which constraint has the most give (e.g., spend as much as you need to in order to get it right). The problem falls with the latter: we never identify the flexible constraint. So all three become a RESTRAINT such that NOTHING moves forwared or gets done. By demanding that all three are managed to unrealistic expectations, you've just bound (and gagged) your project stakeholders. And you've inadvertantly created a culture where bad news will not be shared (and believe me, there will be bad news). So before you undertake your next major project for your small business, take out a piece of paper and draw a triangle. Label your schedule, your resources, and what you need to do. And then think ahead to that inevitable point in the project when push comes to shove. And figure out what absolutely cannot give. And then drink a healthy dose of the humility-reality cocktail to figure out what must give for the project to move forward. See? You're already half-way to becoming a better project manager. Recently, my good friend and colleague, Delaney Kirk of Drake University, asked me to write a post on project management as it applies to college instruction. (For those who don't know, she is a pioneer in the field of college classroom management and I strongly recommend her book, Taking Back The Classroom.) I appreciate her out-of-the-box thinking, as she recently asked Mike Wagner to write a post on branding in the college classroom. 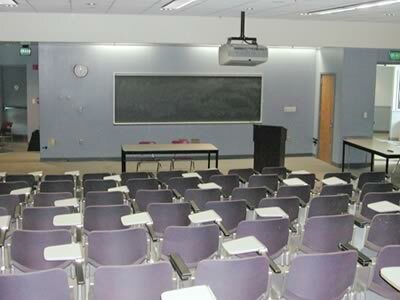 I've been teaching college classes for twelve years (part time). Half of those years have been at the graduate level. Tonight is the first session of my summer semester class, Management of Organizations, so the topic of delivering a class is at the forefront of my radar. Preparing a class to teach it the first time is a monstrous project, and any instructor at high school or college who has a "new prep" has my admiration and sympathy. In projects, you cannot impact any one of these things without affecting the other two. Often, one of these constraints becomes a "lead constraint" (i.e., one that cannot budge); when this happens, it is critical to look at the other two to negotiate the needed "wiggle room" to make your class execute effectively. When looking at class planning as a project, each of these comes into play. Performance/Scope: The first thing any great instructor does is to determine the goals of the class. Since I teach MBA classes filled with non-traditional students who have "day jobs" I try to view these goals from their perspective. What skills and knowledge do they need to possess at the end of the semester that will add value to their careers? When they fill out their class surveys at the end of the semester, how will they complete the sentence, "This class was successful because...."? Still, there are some parts of the curriculum that they may not realize they need to know, and that's where my experience as an instructor comes into play. If I let the curriculum be driven totally by the students, the classes would be 15 minutes long, there would be no exams, and everybody would get an A.
Cost/Resources: What exercises, stories, guest speakers, individual/team projects, exams, and lecture content do I need to include in order to achieve the goals defined in the scope? If I don't have the resources available, can I obtain them or do I need to modify my scope accordingly? Each semester, regardless of the class I teach, I attempt to bring in at least one guest speaker to provide outside perspective. For every class, exercises are assessed to determine which ones my class will enjoy and find valuable. When I taught the class on Creativity in Business, I actually "dressed the part" for certain creative roles. The point here is to procure the right resources needed to make the class relevant and meaningful for the learning environment you are trying to create. Time/Schedule: There are only so many class meetings in a semester. This requires the instructor to prioritize the scope and resources accordingly. When will exams occur? How much contingency time is needed to build into the schedule for the unexpected? What topics build on other topics and need to be scheduled in a specific order? How do topics need to be sequenced effectively? How is the class structured? (NOTE: This is becoming a big topic, as the typical 15-week semester is being replaced by weekend classes, fast-track programs, and virtual classrooms). This fall, the project management class I've taught for five years as a one-night-a-week class is being offered as a weekend course over three weekends. I'll be looking at collaborative tools such as a class blog to maximize learning opportunities. The classroom as a project is a topic many instructors could stand to explore more. I know many instructors who have taught the same class the same way since 1972, not realizing that students, technology, and information available have changed dramatically. Being an adjunct forces me to combine real world seamlessly with the theoretical. As I start to teach my class tonight, it should be another simple project execution, but I'll be prepared for the new and unexpected all the same.